LBJ Presidential Library Director Kyle Longley, a native Texan, says coming home to work at the library is a "dream job." "Those who fail to learn from history are doomed to repeat it. " Versions of that saying have been attributed to different people throughout history, but they all carry the same basic meaning: We have a lot to learn from where we have already been. The new director of the LBJ Presidential Library in Austin believes the tumultuous year of 1968 holds many lessons for today. 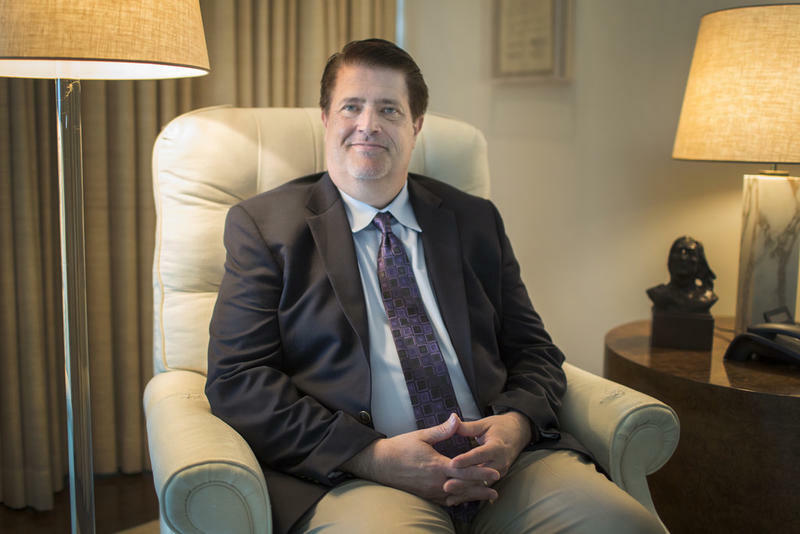 Kyle Longley took over as director of the LBJ Presidential Library in July. For Longley, it is a bit of a homecoming: He's a native Texan who visited Austin as a child. In more recent years, he has come back to do research at the library. 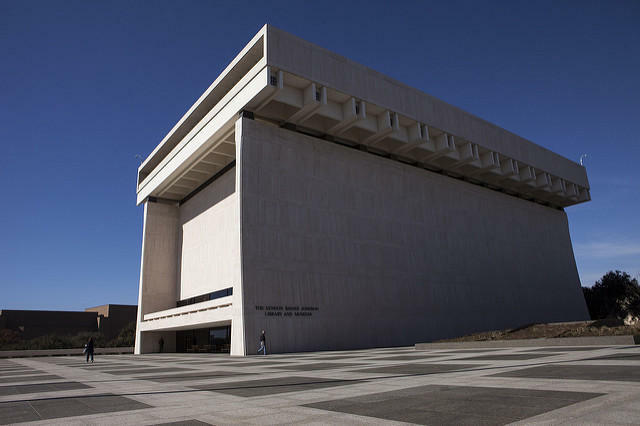 Longley calls the LBJ Presidential Library the "crown jewel" of presidential libraries and museums. There are 14 presidential libraries and museums in the United States. Longley says he has worked in almost all of them but calls this one the "crown jewel." Why? "Easily, the staff," he says. "I was the first person who had been hired in so long that nobody knew how to do all the [human resources]. So that's a great sign, that people have come here, they stay here. Especially the archivists and museum people who need to have a long-term memory because then they can help researchers, they can help people who come visit." Longley says he was first drawn to studying President Johnson because his doctoral mentor was deep into researching the Vietnam War. Longley says he also believes the 1960s were as defining a period in American history as the Civil War. Fifty years later, 1968 has been closed re-examined. While Longley admits it was a tumultuous time, he does not think our modern political discord is as intense. "Look at the riots in the streets after Martin Luther King's death," he says. "Look at the Chicago convention and the fighting in the streets. Knock on wood, we haven't reached that point yet." But Longley concedes politics have divided the country today and says he thinks LBJ would be disappointed by the breakdown of tradition and protocol in the presidency. He admits, though, that Johnson certainly broke with tradition from time to time while he was president. The United States has 13 official presidential libraries. 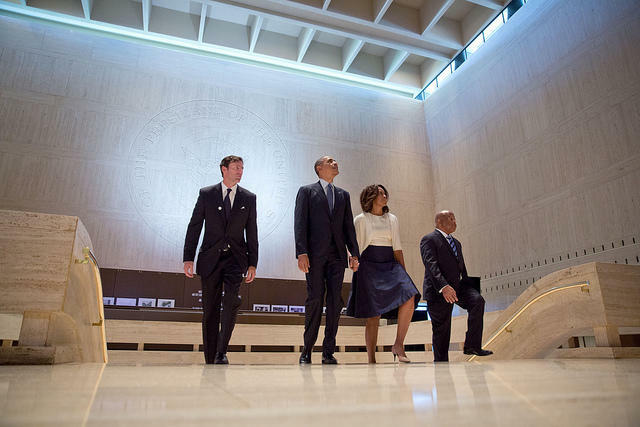 Three of them are in Texas: the George W. Bush Presidential Center in Dallas, the George Bush Presidential Library and Museum in College Station, and the LBJ Library and Museum in Austin. 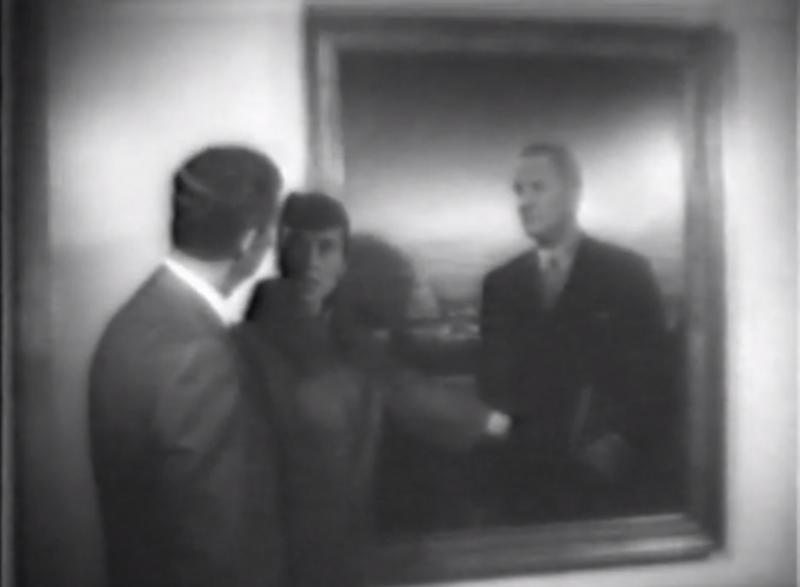 In 1967, famed landscape artist Peter Hurd unveiled a portrait of then-President Lyndon B. Johnson. It was to be Johnson's official portrait and would hang in the White House in perpetuity. 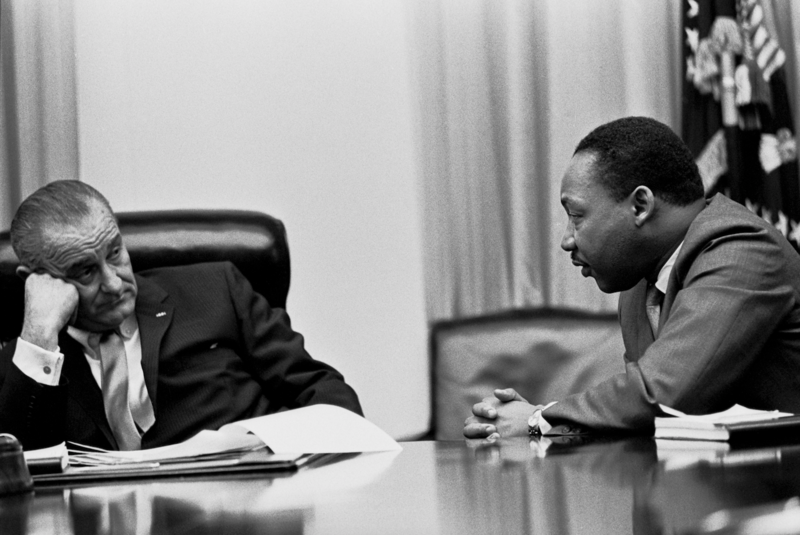 There was one problem: LBJ hated it.